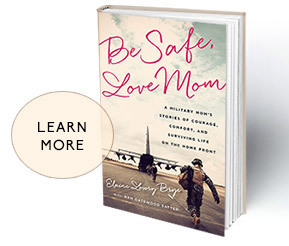 I encourage family members of deployed loved ones to keep a journal of the experience. Don’t feel you have to write every day. In the small journal I kept during my girl’s MARSOC Afghan deployment I think during the 9 months there are 15 entries. I wrote when I felt I needed to and because I wanted to remember something of the experience. I also suggest finding another mil family who has “been there, done that” to whom you trust and who can walk your deployment journey as a constant support. And if you are the praying and/or church type. That’s a good time to deepen your spiritual roots and know your loved one is in God’s care.